Secret Audio - For The Perfect Sound: Overdrive distortion Pedals.Secret Audio | For The Perfect Sound: Overdrive distortion Pedals. I look forward to trying out the new one in the future. 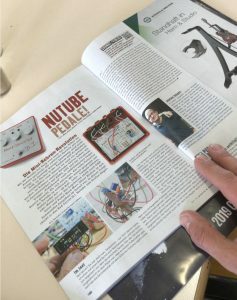 Secret Audio Gitarre&Bass March 2019 magazine! Posted in News	| Tagged red secret	| Comments Off on Secret Audio Gitarre&Bass March 2019 magazine!